Below is a link to a really interesting article that Shane Gallian sent me earlier today about the challenges of life in Nicaragua. As we have sent two short-term mission teams to Nicaragua, some of us at Westheights have personally observed the difficulties facing the country but this post on the MCC blog provides some additional insight into the complexity of the problems. Click here to read the post. 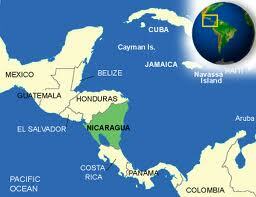 Then take a few minutes to pray for the people of Nicaragua today.